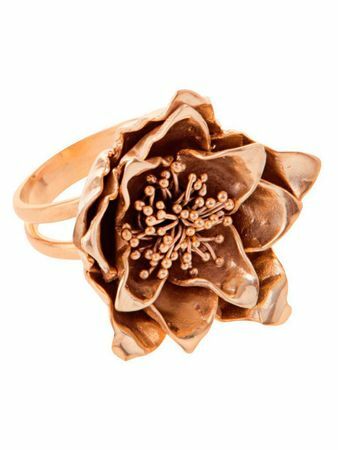 Ring in flower form. Polished Brass. 3x1,5 cm.